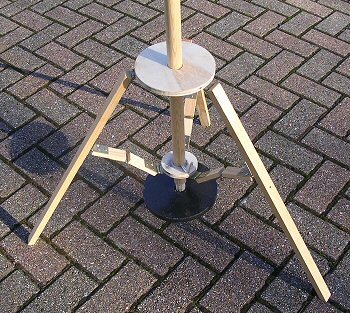 A simple home-made tripod is described that can be used for a variety of uses including lighting and for antennas. 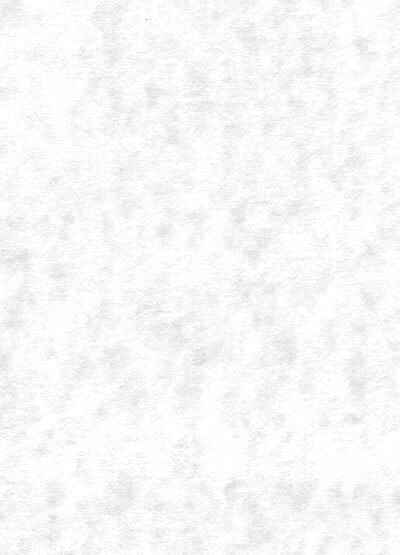 It can be made from pine, plywood and small brass hinges finished off with a coat or two of varnish. 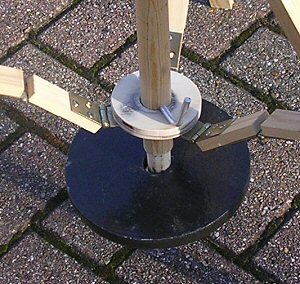 The basic design consists of a circular piece of plywood with a suitable sized hole cut in its center to take the vertical pole that the tripod will support. This circular piece has three legs attached by hinges, the far end of which have been sawn off at an angle so that when spread out they lie flat on the ground. Each leg also has two pieces of wood attached about midway, that go to another, smaller circular plywood piece situated below the larger one. These three sets of two small pieces of wood support the legs and are hinged so that they allow the legs to move in and out and so pack away when collapsing the tripod. Finally pins hold the central vertical support to the circular parts so that they are held in place but can swival. The bottom of the pole has a weight attached by a second pin providing the necesary downward force to secure the tripod.